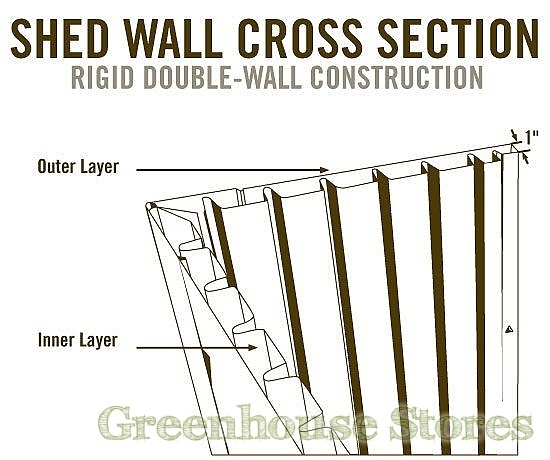 8 Opening Side Windows (shatterproof) - More natural light and ventilation. 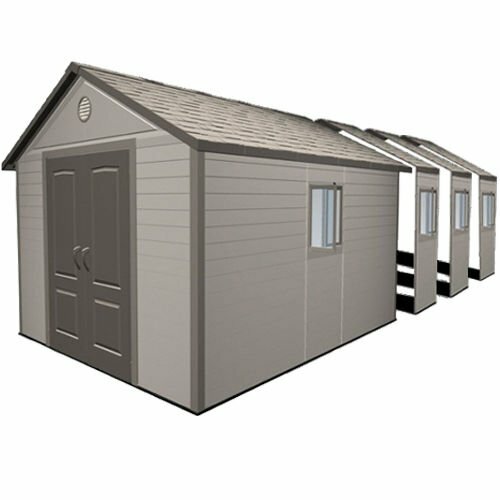 The Lifetime 11x26 Heavy Duty Plastic Shed is 3160mm wide storage shed that is perfect for storing large items or even using as a workshop. 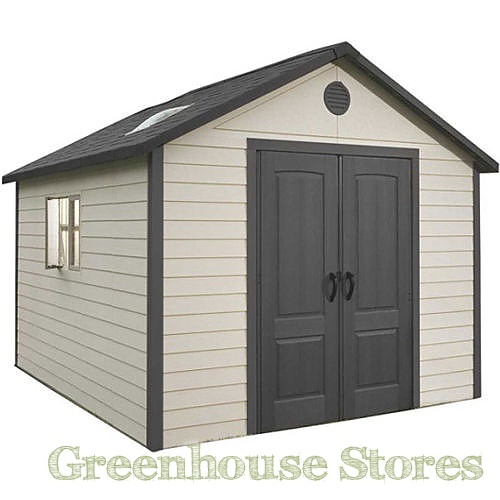 This shed is really tough building that will require no maintenance other than the occasional clean. 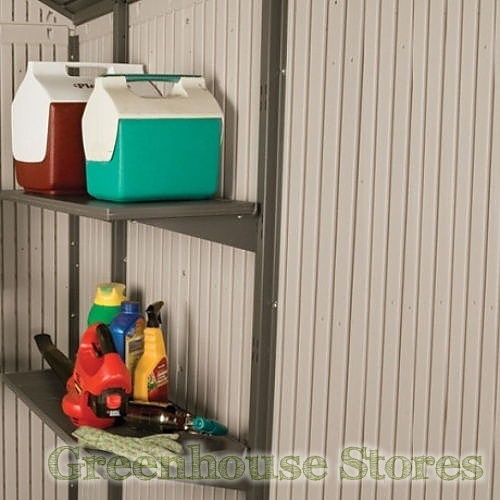 The Lifetime 11 x 26 is built from Double Wall High Density Polyethylene (HDPE) and powder coated steel making it super strong and resistant to weather. 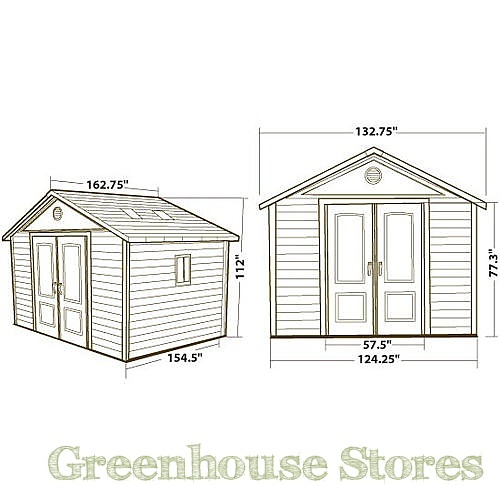 A Lifetime Shed will not warp, crack, chip, peel, fade or stain. 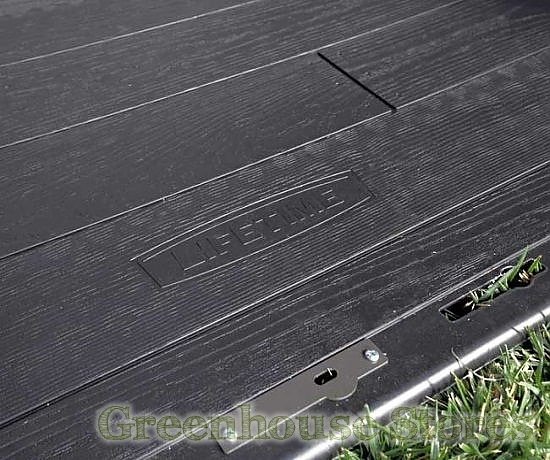 The Lifetime 11ft x 26ft shed has a hard wearing integrated non slip PVC floor that will take many years of punishment. Natural light floods into the shed through it’s full length skylight windows running down the ridge as well as it’s smart little opening side windows. 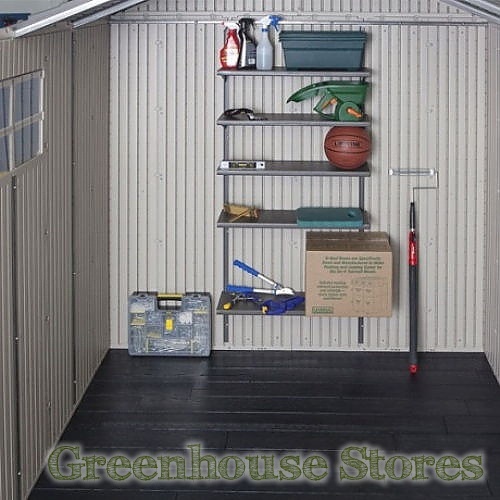 There are screened vents in both gable ends to allow for good airflow without letting in pests such as flies and wasps.